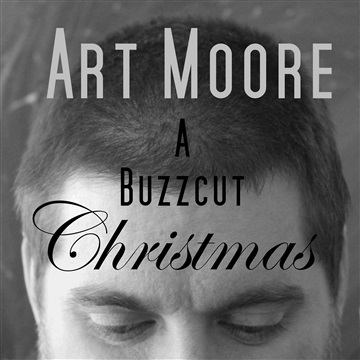 "At once traditional and modern, Buzzcut Christmas is a surprising and refreshing EP of Christmas favorites, making it a must-buy for any music lover looking for new tunes this holiday season. Art Moore is a true indie artist - composing, singing, playing the piano and trumpet, and digitally recording and mastering all five tracks on this, his first EP. Art Moore's vocal versatility is displayed on the first track with an inviting, intimate Simon & Garfunkel-esque simplicity, a rich and haunting baritone in O Come O Come Emmanuel, and then as a high tenor in the moving What Child is This? (while appropriately accompanied by a soulful, heralding trumpet). The arrangements are accessible like other, more "pop" Christmas tracks, but also ask the listener to elevate their senses and expect more of Christmas music as the modern classical influence is felt throughout. Beautiful counterpoint punctuates every verse and chorus, all enveloped by the tender vocals. Each song will leave you wanting more and the EP leaves you wanting a full CD . . . so if we had to take issue with anything it would be, "Where's the rest of it?" We can always put in a wish to Santa for next year . . ."